11 year old poodle maltese cross. 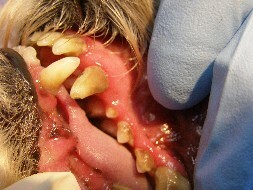 The teeth were vet cleaned a year ago but without being brushed, the calculus builds up fairly rapidly. 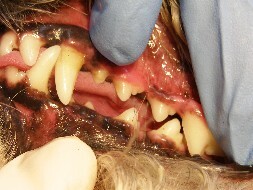 At this point the gums were too infected to safely clean the teeth and Oxyfresh Gel was applied twice a day for two weeks. 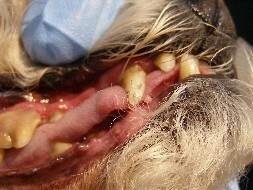 The gum tissue has healed enough for cleaning.